Then, just this past June, Comcast announced the planned rollout of Gigabit Pro near Silicon Valley, but not Santa Cruz. Even if Comcast changes its mind, the city has already found a local private partner in Cruzio. This local public-private partnership will almost certainly result in far more benefits to the community than Comcast’s Gigabit Pro. This network will be under local control and responsive to community needs. The intention of the partnership is to pursue an open access model. 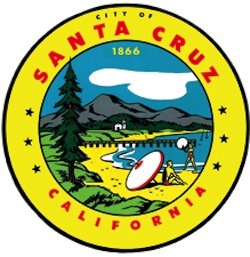 At first, the network will be solely a public-private partnership where the City of Santa Cruz will own the network and Cruzio will construct and operate it. During the initial stages, Cruzio will provide the expertise in network management that the city of Santa Cruz does not necessarily have. After a number of years, the network will open up to more service providers in order to promote competition, which is how Westminster has arranged its partnership with Ting in Maryland. The goal of the FTTH project proposal according to Cruzio is to connect 6,000 households and businesses by the end of the third year. Currently, the construction costs are estimated at $52 million. The City staff will present a report to city council by the end of this September on the potential Fiber Project’s feasibility. Early project estimates suggest the network would be mostly completed by late 2018. If the take-rate is feasible, the city intends to back the network with municipal revenue bonds. Revenue bonds are repaid through the sale of networking services, not through taxes. This ensures that those who use the network will pay for the network. Cruzio is now surveying residents to determine interest and creating an engineering report.